TT Games’ never-ending LEGO games franchise trudges ever forward this October with LEGO Marvel Super Heroes, and a new trailer for the game released this week shows off the game’s cast, filled to the brim with Marvel Comics characters, good and evil alike. On the hero side of thing we see characters like the Silver Surver, Nick Fury, Captain America, Spider-Man, Iron Man, the Hulk, the Fantastic Four, Wolverine, Thor, Hawykeye, Black Widow, Cyclops and even a brief appearance by Squirrel Girl. The villains, meanwhile, are represented by Doctor Doom, Loki, Magneto, Sandman, Doctor Octopus, Sandman, Sabretooth, Venom, Mystique and even the world-devourer Galactus. The game looks to keep the classic LEGO gameplay, with swappable heroes, tons of unlockables and character-specific puzzles – plus some kind of story about cosmic bricks that’s more or less an excuse for the heroes to team up and punch bad guys. It also continues the use of full-on voice acting, first introduced in last year’s LEGO Batman 2: DC Super Heroes. 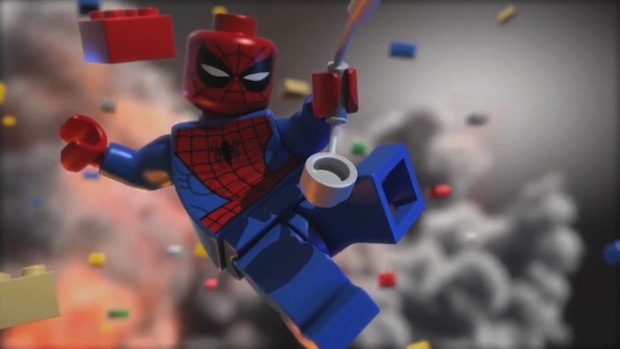 LEGO Marvel Super Heroes releases on Oct. 18 for Xbox 360, PlayStation 3, Wii U and PC, and will also release on the PlayStation 4 and Xbox One when those systems launch. What do you say, gamers? Spot any characters in the LEGO Marvel trailer that we missed? Let us know in the comments.